UHC is a gamemode pioneered by the Mindcrack team, in which the main twist is that health does not naturally regenerate, and instead must be regained using Golden Apples or Potions of Healing. This thread will serve as a hub location for all UHC-related information, as well as a place to discuss UHC on the whole. Champion - Awarded to the last player or team standing! Will we be needing a skype for this? No, as it will be a FFA event. The scenario (Vanilla FFA) has been made more prominent. To answer your question; voice chat isn't required, but for future team seasons, it is strongly recommended. Additionally, spectators/dead players will have a Discord channel that they can use to talk in if they like. I just realized that branch mining is forbidden. Now, I have a certain let's say personal style of mining, which is a bit like branching but very chaotic in a way. I do have a system but to most people it seems quite random. So my question would be: Is any other systematic form of mining forbidden, too? Systematic mining is the spirit of what's not allowed, yeah. The idea behind the rule is that there's no risk to it, so it encourages people to hide underground in complete safety. 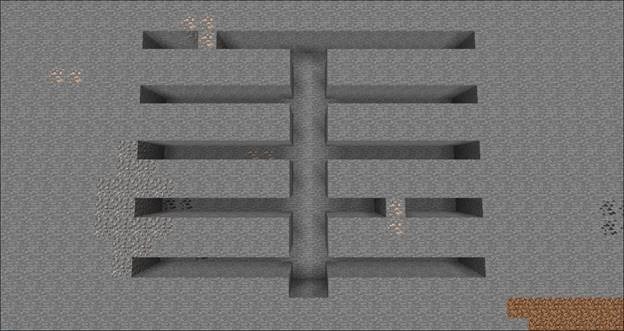 Staircasing/digging down to locate a cave is allowed, but systematic mining is not. I am pretty sure mining straight ahead is allowed, as long as you have a cause, such as you hear lava in a certain direction and mine that way in order to find a cave. "Oh, I think I hear lava 400 blocks straight that way, I'll just dig straight until I reach it"
I played many a uhc in my days so I'm looking forward to this one, and btw will the uhc be in 1.9 pvp or 1.8 pvp? It will be 1.9 pvp. Most of us on here like the changes, and we've been using 1.9/1.10 for a long time now. Nah, we aren't sissies over here. First off, 1.8 fighting isn't a sissy way of fighting, it is just what a lot of people are better at depending on their control layout or how they see it fitting into minecraft. I for one don't like how it is much easier for creepers to hurt you due to the delay, and when you are swarmed, or when you are defending villagers with a sword. Second, I am very sure that strip mining is allowed in our uhc. Just don't be a jerk. No strip mining is like rule #1 of UHC... UHC is supposed to be stair casing and caving only. You may want to read the UHC Rules. Strip Mining is forbidden. Also I am not going to get into the 1.8 vs 1.9 fighting debate. I'll just say I like the new 1.9 combat better than the 1.8 combat. First off, I was kidding. I like both styles of fighting, I just like 1.9's better. Did you see the wink? Usually if I add a wink or a face it means that I'm either having fun or just poking fun at someone or something. The reason why I said that is because a lot of the big servers don't want to update to 1.9's combat because a lot of the other players (mostly kids who think it's too complicated) are too whiny and complain a lot about it and trash talk anyone who does like it. Now, I know there's a lot of people with good reasons to dislike 1.9 combat, but I was merely poking fun at the people who hate just for the sake of hating. I was not trying to offend anyone. Now let's leave it at that. Second, I don't think strip mining is allowed. Staircasing and tunneling towards cave sounds are allowed (and ONLY if you hear them nearby), but not strip mining or branch mining. Staircasing and digging downwards is allowed. I should touch up on my rules. To clarify, I meant staircase down, then dig straight until you find a cave. Not the branch type of strip mining, where after awhile you turn around and dig back. Congratulations to Danified, our Season I victor! The match was filled with action, and the best man most certainly took the crown. It was an incredibly exciting match, and everyone played it extremely well. The Communications Dispatch for this month will include this season's wrapup, so keep your eyes peeled! The Ironman medal stipulation is being changed post-match by popular demand. From now on and including this season, the last player to take damage will be the recipient of the trophy, as is UHC tradition. The Sanguine medal stipulation is being changed post-match by executive decision - the intention was that it would be awarded to the player who dealt the most damage to other players, but I failed to realize that Minecraft's stat.damageDealt scoreboard objective tracks damage dealt to all mobs. The Sanguine medal will be awarded to the player to kill the most opponents. The winner of this medal remains the same either way, so ¯\_(ツ)_/¯. I'm curious to know - besides the violent chokehold we had on the server at the beginning of the match, what else would you folks like to see changed or improved upon? Next time, let's have a seed without a jungle in the middle. That was horrible. Really? I liked the jungle, personally. Ambushes are fun! Also - I updated this post with the Season I stats, and the original post with a Trophy Hall. The ambushes are fine, but it's the mobs, cliffs, and vines that tormented me throughout my travels in there. They suuuuuuucked. I'm still salty about my lag/bug caused death. Though, I former champion and big hunk, still had fun though up to the point where I was instantly vaporized in a wall. Season II has been announced! It's a Teams of Two match, so I hope you folks are team players.